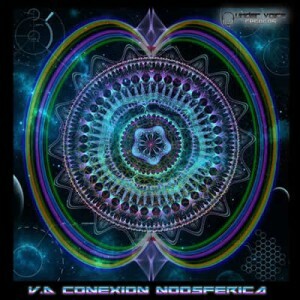 Compiled by DJ Khronnos from Argentina, Conexion Noosferica is the newest release from the Under Voice Records family. Gathering powerful artists from the Latin American scene, this is a strong collection of full-on tracks inspired by mother nature and characterized by deep psychedelic atmospheres with organic leads, intelligent percussion, and some influence from Goa trance. Mastered by Alien Commander at Under Voice Studios with artwork by Psyweone. MP3 Download | FLAC Download | WAV Download · Download count: 6,790. Hey Family! Thanks again to be envolved! Keep on Psy and don´t forget your roots, it´s all based in the things we done in the past! BIG BOOM! Hugs form Brasil! Greetings to Léo (hope to see you soon again my friend), Undervoice Records & Ektoplazm crew! Awesome tunes, very nice release, happy to be part of this experience, tanx to Under Voice Records, Leo Khronnos and Urucubaca, CHEERS PSYCHEDELIC FAMILY….. Massive. Driving, deep and unique. Urucubaca & Co. know what they are doing. Keep it up!! Representando Latino América, viva América. Awesome album, really cool exploration of sound. Love the guitars! 5 *****’s ! exelent compilation we want more!!!! the best vibes of the cosmos for you friends!! I think the first track is incredibly weak; first track on an Ektoplazm release in a while to make me skip it entirely halfway through its running time. They took what could’ve been a crunchy guitar and squashed the life out of it by sidechaining it to the kick/bass far too hard. Mastering is weak on the rest of the album as well. Also, clearly this is more of a dark prog compilation than ‘full on’. Neither of the first two tracks have anything like a full on bass.